Curtis Singmaster is the winner of the mens 4/5 category. 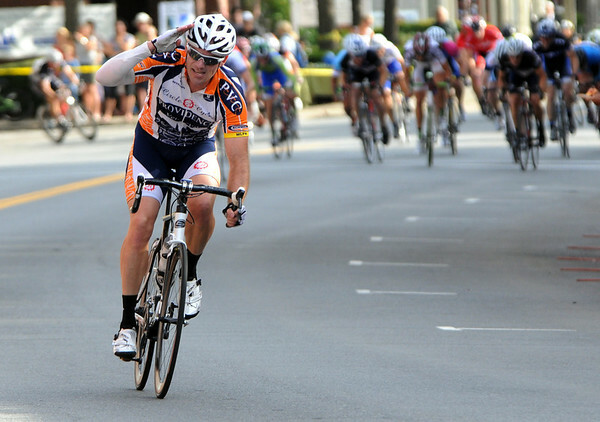 He salutes and then waves as he pedals past the finish line on Cabot Street during the Third annual Beverly Gran Prix cycling race. Photo by Ken Yuszkus/Salem News, Wednesday, August 3, 2011.